Shelly is an accomplished neuroscientist and science writer. 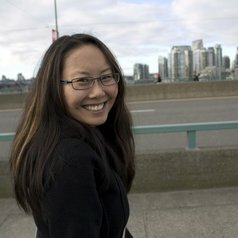 Her PhD thesis work (at the University of British Columbia, UBC) culminated in a Nature Neuroscience paper. She is currently working as a post-doctoral fellow at the University of California, San Francisco (UCSF), studying the mechanisms of brain aging and the potential for rejuvenation with Dr. Saul Villeda. Shelly is also an award-winning science writer. Her popular science articles have appeared in Scientific American MIND, Discover,Science of Eating Disorders and UBC Medical Journal. She works as a contributing editor in neuroscience at Singularity Hub, an online publication with an eye for salient scientific and technological progress. She also runs the award-winning science blog NeuroFantastic.